Hardwood flooring elevates the décor wherever it is installed. The move toward open-plan living areas calls for unified flooring that can meet the demands of a kitchen as well as a living area. 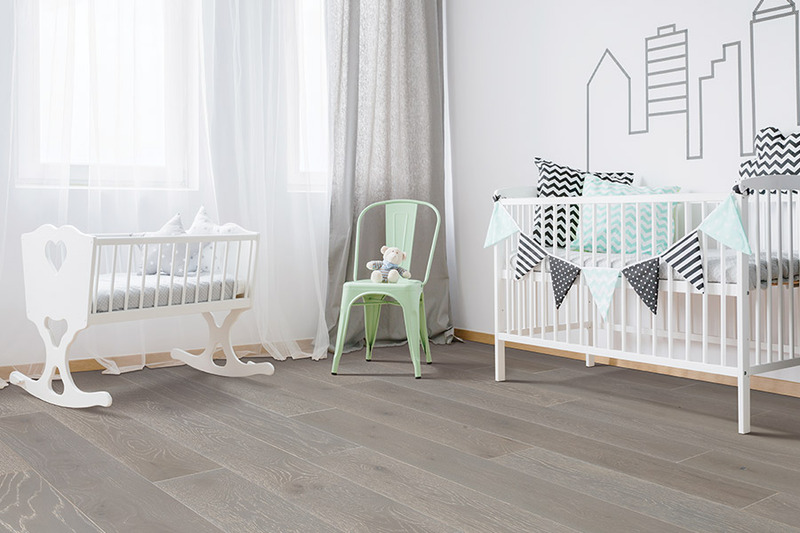 Hardwood flooring is up to the challenge of heavy foot traffic, dropped plates and kids and pets. Hardwood flooring can be either solid or engineered planks. A solid plank is made from one piece of wood. An engineered plank has a top layer of hardwood veneer, supported by thin wooden layers, much like plywood. Solid planks are available in domestic hardwoods, like cherry, oak, maple and walnut or exotics like mahogany, ipé, ebony or bamboo. Widths vary from narrow, around two inches, up to five inches and beyond. Thickness starts at ¾ inch. Solids can be installed unfinished and finished after installation, or pre-finished with warrantied coatings. Surfaces may be smooth, textured – like handscraped or distressed, high gloss or low gloss. Caution must be used in placing solid wood flooring in wet areas – be careful around sinks and dishwashers. 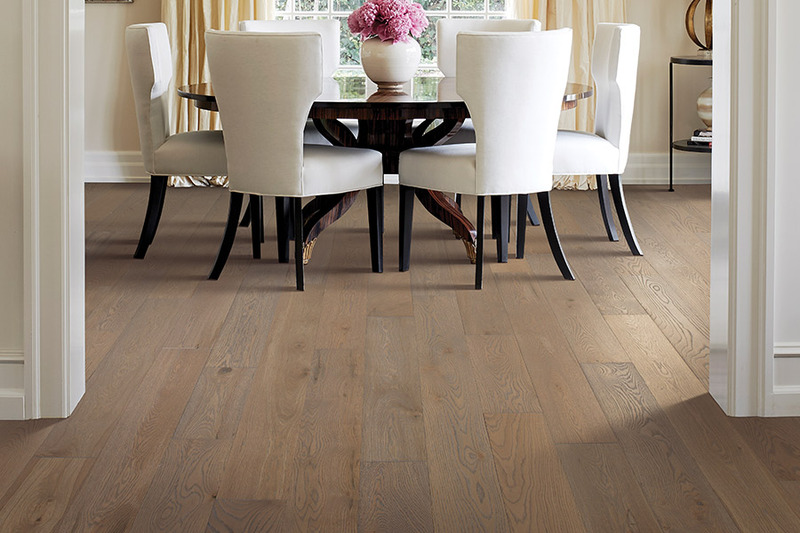 Engineered hardwood looks the same as solid hardwood with the same species of wood and surface selection; it comes. 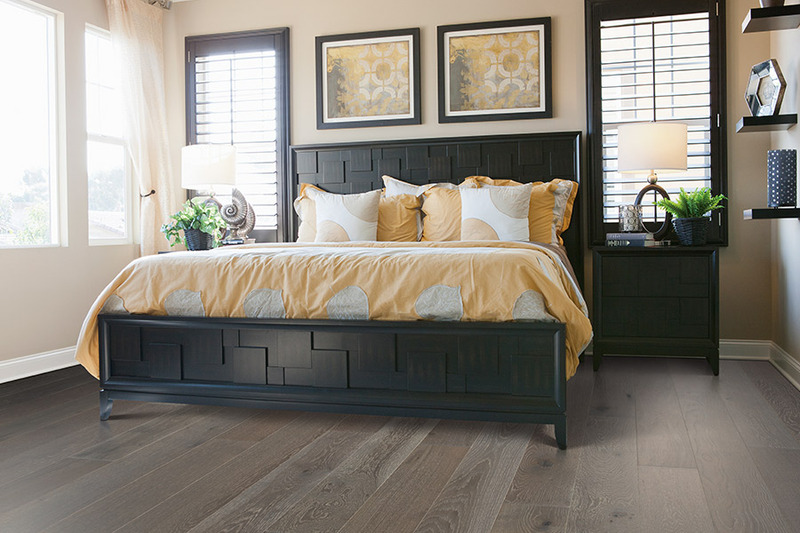 Engineered is only available pre-finished; however, its construction makes engineered hardwood more stable in the presence of moisture. Both engineered and solid hardwood floors can be refinished. 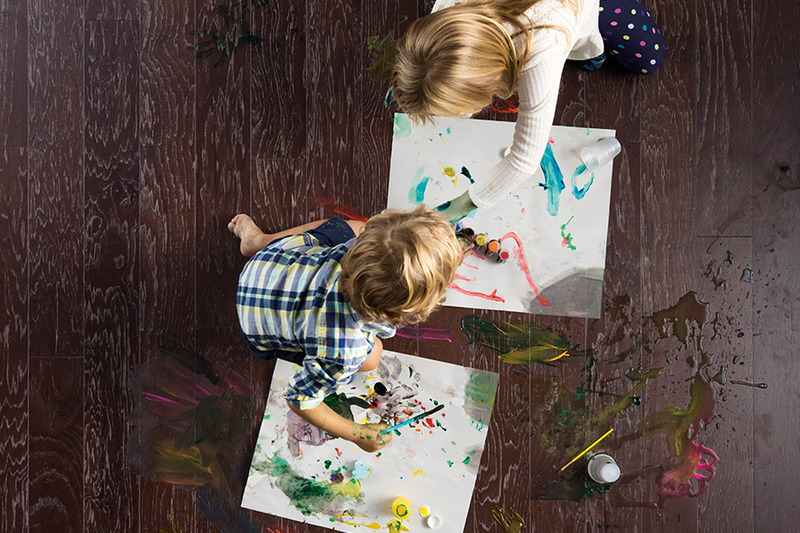 A solid hardwood floor can be refinished often enough to have the floor last a lifetime. 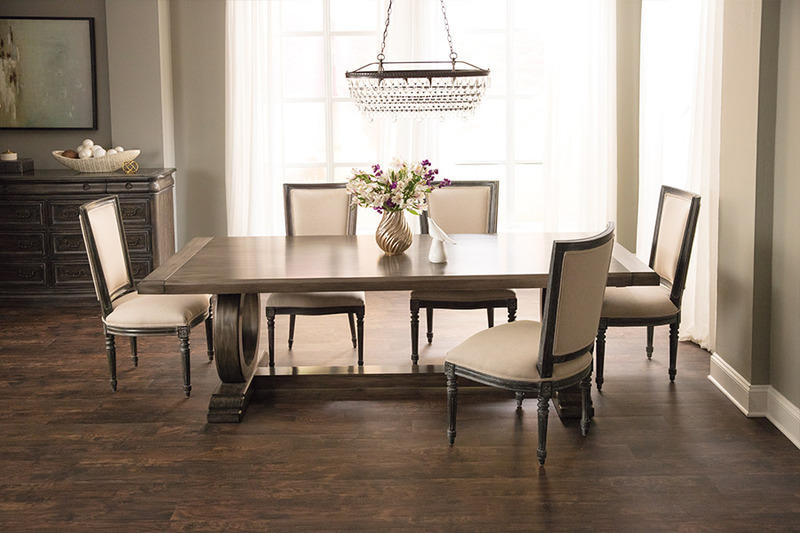 The thinner veneer on engineered hardwood, permits refinishing once or twice, depending on the manufacturers’ guidelines. Grit is the enemy of wood flooring. If ignored it wears away the finish and exposes the raw wood that can be damaged by traffic and water. It makes sense that daily sweeping and a light mopping as needed will keep your floor clean and looking like new.